Vibrant health begins in the cells. Learn how to transform your dog's cellular health with the power of nutrigenomics in this ground-breaking new book. Nutrigenomics (a combination of the words nutrition and genome) is the study of how the foods we and our pets eat "speak" to our cells to regulate gene expression, which in turn plays a huge role in determining whether a person or animal will live a life of vibrant health, or one plagued by illness. 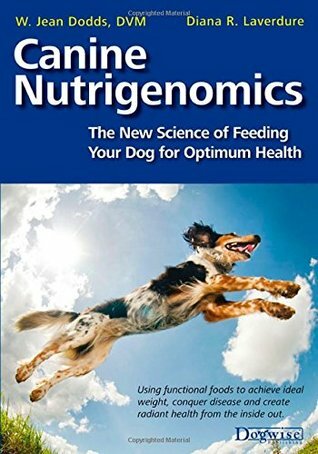 Scientists now know that while we can't change the genes we are born with, we can change how those genes behave, which is exactly what authors W. Jean Dodds, DVM and Diana Laverdure-Dunetz, MS show us how to do in, Canine Nutrigenomics: The New Science of Feeding Your Dog for Optimum Health from Dogwise Publishing. I have been interested in dog health and especially dog nutrition for a long time now. I have had several dogs throughout the years with special needs and so I was forced into reading on nutrition. If you have had to forage into this area you know it can get confusing fast. Very fast. It is worse than human nutrition. What is bad in one book and should be avoided at all costs is celebrated in another. My biggest suggestion for those looking to improve health is to carefully read about the person giving the information and also research their background. I've been following this vet for a while now and I have read many of her articles but none of her books. This was the first one I have read by her and I was not disappointed. In earlier articles by her I read a bit of her information on thyroid problems in dogs. I've had two dogs with that problem and one of them is my large doberman. Though her articles I have adjusted when I give the medicine to him and what foods to avoid. It seems very consistent with other nutritional veterinarians. This book focuses on Nutrigenomics. It is has gained more popularity and was once considered pseudoscience. Not all agree that there is enough evidence to suggest that nutrition can influence how genes react which is the basis of nutrigenomics. It is in a sense using food as medicine. It has been gaining popularity and more papers and studies have been done. It is an interesting idea in both humans and animals. Plus, in my own experience I have physically seen how nutrition has changed my animals health throughout the years. 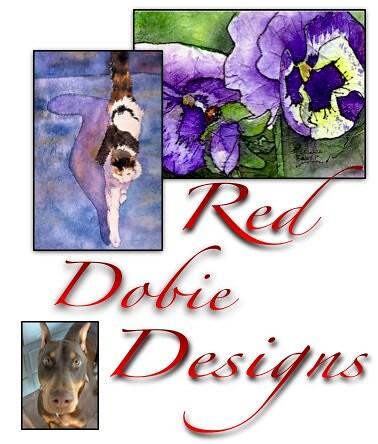 Dr. Dodds also runs a canine blood bank and has a test for food sensitivities which she promotes in the book. I would love to do it for my pups but it is very expensive (but some insurances do cover it but a veterinarian has to order it). It could end up being a money saver, however, if you have not gotten to the bottom of certain gastrointestinal disorders or even coat problems (like hot spots and excessive itching). It is at least worth a look if you have a pet that has issues that have not been helped conventionally. There is information on her site about this test and the book really tells you how the information you gain from this test applies. If you don't do the testing you can still gain some insight and knowledge on what to feed your dog. 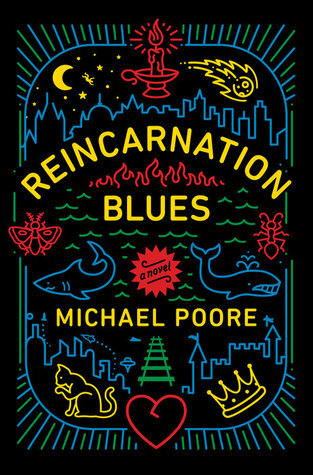 I give this book 4 stars with my long winded review. The book can seem quite technical to some so I would try her articles first to see if it is someone that makes sense to you. 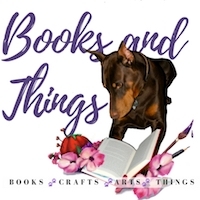 I also suggest to library book this one (where I got my ebook copy) to see if it is something you want to keep or just something to get a few tidbits from to enhance your dog's food. Dr Dodds is at lest worth a look when you are trying to help your pet's health through nutrition. Dr. Dodds Blog (you can also access their other services and information through the link as well). Ah, I've been silent again, but for good reason. I had a whole post on what my dogs put me through (they are all fine now but seriously dogs...), my health, and Charlottesville. While I was writing it out I realized I really didn't want to talk about all of that. Since Charlottesville I've been angry and tired and let me just say it... racism is bad. How do some people not get that? Even though I was not surprised that violence has happened but what did surprise me is that it has become personal in a way I didn't expect. I won't reveal the specifics but I will state that I have no problems standing with my convictions but it did make me angry. I only wanted to state that since I KNOW I'm not the only one going through it and I want anyone out there to know they are not alone. So many more people are speaking out against racism. Racism has always been there, it will be there after this section in history but we can do what we can to lessen it's impact for future generations. I have no problem believing it will happen because so many people are saying no. 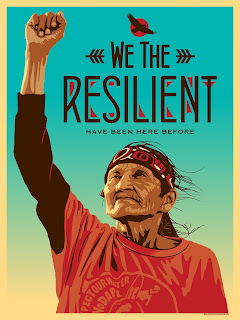 It is good to see and hold onto that. I just became a affiliate for Craftsy. I have used this site for quite a while. I often buy patterns or videos from this site when they are on sale. I can now let you know so if you are interested you can get in on the sales. Yep, I'm trying to do more crafting. I'm also previewing a lot of videos for them so hopefully I'll get to share those as well for you. I've been a bit behind where I want to be due to personal issues but hopefully will get to writing those things down. I am also getting more involved in dog nutrition and training. I have to write some reviews on this and will hopefully have them soon. It will be a bit before I'm back into full swing, but thanks for sticking around! I hope I end up having something here you will enjoy. Hope your day gets better (even if it is great, I want it to get even better!) since I think we all deserve it right now.